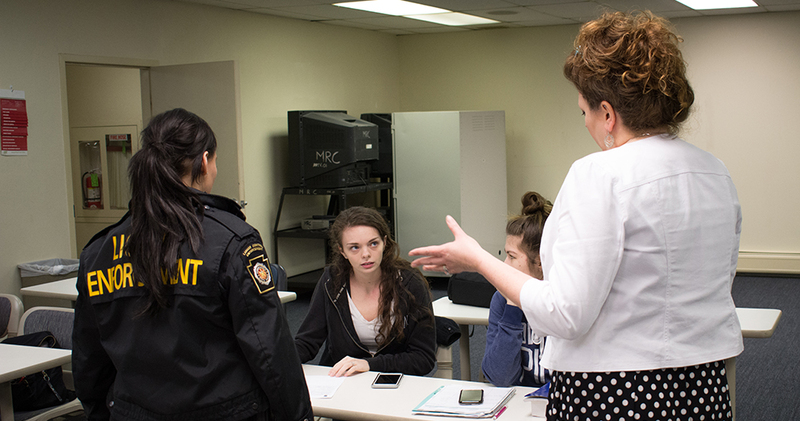 Before graduating, criminal justice students at Point Park University have the opportunity to work undercover. 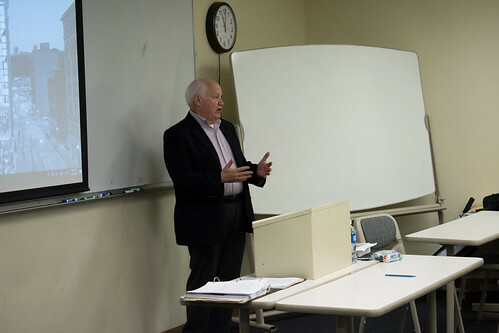 Officers of the Pennsylvania State Police, Liquor Control Enforcement, recently met with students taking the classes Constitutional Law and Professional Communications, taught by Richard Linzer, J.D., associate professor of criminal justice. “Not only does this help with your resume, but it also gives you the chance to see what a career in law enforcement is like,” said Courtney Clark, a freshman criminal justice major from Mohawk Junior/Senior High School in New Castle, Pa. According to Linzer, students work with officers to enhance their report writing skills and may have the opportunity to testify at trials. Students who perform six operations receive a commendation from the Pennsylvania State Police and may also receive letters of recommendation. “There is a lot of underage drinking out there, and I think this program can do a lot to stop it,” said Jared Ross, a sophomore criminal justice major from Greensburg Salem High School in Greensburg, Pa. Junior criminal justice major Ashtin Hill, also from Greensburg Salem High School, worked for the Liquor Enforcement Division last year before turning 21.